Recently, I was asked: Why should I plan my evaluation strategy in the program planning stage? Isn’t it good enough to just ask participants if they are satisfied with the program? Good question. This is the usual scenario: You have something to say to your community. The topic has research support and is timely. You think it would make a really good new program (or a revision of a current program). So you plan the program. Do you plan the evaluation at the same time? The keyed response is YES. The usual response is something like, “Are you kidding?” No, not kidding. When you plan your program is the time to plan your evaluation. 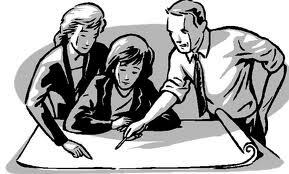 Unfortunately, my experience is that many (most) faculty when planning or revising a program fail to think about evaluating that program at the planning stage. Yet, it is at the planning stage that you can clearly and effectively identify what you think will happen and what will indicate that your program has made a difference. Remember the evaluative question isn’t, “Did the participants like the program?” The evaluative question is, “What difference did my program make in the lives of your participants–and if possible in the economic, environmental, and social conditions in which they live.” That is the question you need to ask yourself when you plan your program. It also happens to be the evaluative question for the long term outcomes in a logic model. By thinking about and planning for evaluation at the PROGRAM PLANNING STAGE, you avoid an evaluation that gives you data that cannot be used to support your program. A program you can defend with good evaluation data is a program that has staying power. You also avoid having to retrofit your evaluation to your program. Retrofits, though often possible, may miss important data that could only be gathered by thinking of your outcomes ahead of the implementation. I just connected with your evaluation blog via AEA’s twitter. I love reading about the weaving of program planning and evaluation as I am a huge proponent! Speaking of hollow logs, because I have worked so much in indigenous communities I am reminded as to how much all people ask the question in our daily lives — how much did that activity make a difference? Whether that be gathering berries, practicing soccer with our child, or painting our house. Thanks for reminding us to ask it up front in our program planning.